Sometimes, when trying to replicate a villainous, power-hungry Asgardian’s wardrobe, you just have to punt. 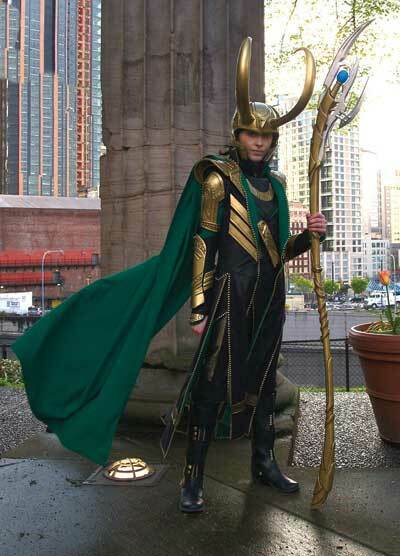 “I use a technique where I wrap the [human] subject with plastic wrap and tape—either duct or masking,” says Eric Jones, about making the form for the Loki costume (from The Avengers) for Comicon last year. “Then I’ll draw the shape of the armor on the taped area, then cut it off the subject to use as a pattern to be transferred to the main material like Worbla or foam.” Based in Mill Creek, Jones runs Coregeek, a one-man prop- and costume-building enterprise. Over the past four years, he’s taped, wrapped, cut, glued and meticulously handcrafted around 10 costumes and countless props (both on commission and for himself). For ECCC this year, he’s making a Fierce Deity Link costume (from “The Legend of Zelda: Majora’s Mask” Nintendo game) for his youngest daughter, complete with a 5-foot-long, double-helix bladed sword and body armor. His oldest daughter is going as Thranduil, King of the Elves from the Hobbit movies, adorned in an ornate robe and jewelry. And Jones and his wife will attend as gender-swapped versions of characters from Wreck-It Ralph: He will be a male version of Sgt. Calhoun, and his wife, Krista, will be Fix-It Felix (or, as they’ve dubbed her, Fix-It Felicia). Read our full, behind-the-scenes coverage on the 13th annual Emerald City Comicon (March 27-29), including photos galore, here. Scenes from a Abi Selvidge's Cosplayer workshop: From spandex to hair dye to homemade chainmail, Selvidge reveals what it takes to prep for Emerald City Comicon. 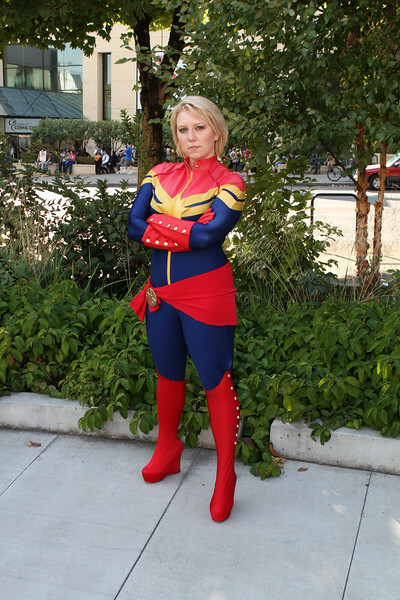 NUMBER OF YEARS COSPLAYING: With five years of cosplay under her Wonder Woman belt (her first convention was anime Sakura-Con 2009), Selvidge occasionally works on commissions from folks outside her family and friends. Scenes from a Kristen Jensen's Cosplayer workshop: With a heart for comic book charity and a workspace filled with faux fur Jensen reveals what it takes to prep for Emerald City Comicon. FAVORITE SUPERHERO: “Captain Marvel. She's strong, intelligent, funny and thoughtful. And, she's just as strong as The Hulk, so she's pretty much a badass,” Jensen affirms with a wink. COSTUME QUIRKS: “Every new costume seems to have kinks that need to be ironed out,” Jensen explains. “It's difficult to design something that looks just like the source material and is also functional! Parts fall off, seams come apart, shoes are uncomfortable and armor is ill-fitted and digs into your skin (sometimes leaving permanent scars).” Not to worry—Jensen assures us that this all part of the costume building process. Scenes from Thomas Sergneri's Cosplayer workshop: Through contacts, Hello Kitty armor and water-based makeup, Sergneri reveals what it takes to prep for Emerald City Comicon. COSTUME QUIRKS: For Dragoncon 2014 in Atlanta, GA, Sergneri dressed as Ronan the Accuser from Guardians of the Galaxy, a character that required contacts and makeup – both new to the cosplayer. Putting the contacts in required over an hour of bathroom mirror time (something all contact enthusiasts can relate to). HOLLYWOOD LOVES A GOOD BUZZ: Sergneri’s impeccable Buzz Lightyear costume was recently purchased by a Los Angeles costume company and featured on an episode of TBS’ Cougar Town that aired in January.